We are now in Nicaragua after passing rather quickly through El Salvador and very quickly through Honduras. In El Salvador we had the best pupusas ever! In Honduras we were lucky not to get stopped too much by corrupted police. And here in Nicaragua we have now settled down on the breezy square in Granada. Soon we will continue to Costa Rica but we would like to buy some good Nicaraguan coffee first! 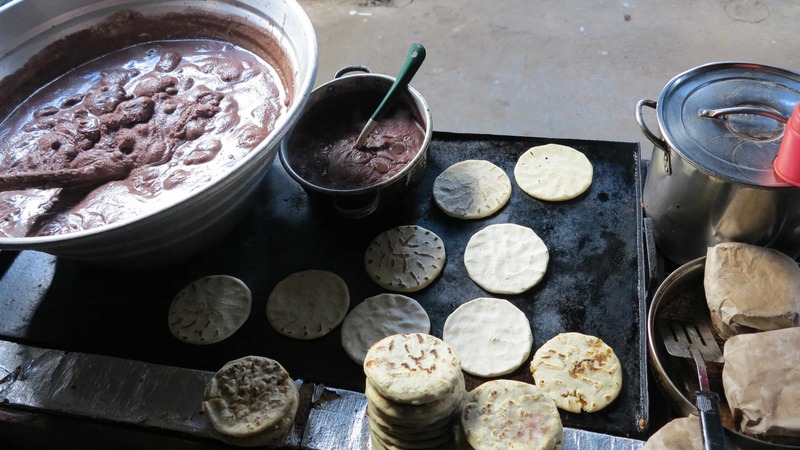 Pupusas with refried beans in El Salvador – we adore them! This entry was posted on Sunday, September 16th, 2012 at 8:47 pm	and posted in Uncategorized. You can follow any responses to this entry through the RSS 2.0 feed.